Today’s guest post comes from Dan Q, Web & CMS Developer for the Bodleian Libraries as well as Technical Director of Three Rings. Practicing good Internet security is like having a burglar alarm. Burglar alarms, contrary to popular belief, don’t prevent burglary. They don’t even prevent burglary against your property. What they do, though, is they stop you from being an easy target, so the criminals go elsewhere. A particularly determined burglar could learn how to override or break the alarm and could watch your house for weeks on end to learn the perfect time to strike. But unless you’re storing priceless diamonds in your living room, they won’t bother: they’ll just leave you alone and find an easier target. Burglar alarms, multipoint locks, and motion-sensing lights are popular ways to make your home safer because they’re easy to use and easy to understand. So what two things we can all do to easily improve the safety of our online accounts? Many websites require you to log in using a password. That’s what we call the ‘first factor’ of authentication – something you know. The problem with passwords is that if somebody else finds out what you know (for example by guessing, by breaking into a database, by using spyware to record what you type or even just by standing over your shoulder), then they can take over your account. You might not even know about it until it’s too late – for example, when they delete all your emails or use your social network accounts to try to con money out of your friends. These days, people are getting pretty good at coming up with passwords that are long and complex, so that they can’t be guessed by hackers. But we’re all still pretty bad at not reusing passwords, and that’s dangerous. If you use the same password for any two of your accounts, then an attacker might only need to break into one of those two systems in order to break into the other. And because the bad guys can rely upon the majority of the people with accounts on the first system using the same passwords for their accounts on the second, this kind of attack is very popular. This guest post is from Helen Webster, an academic developer at Anglia Ruskin University. She’s particularly interested in digital literacy in Higher Education and has run several online programmes on social media for academics and students. But what makes the latest digital innovations in online learning so exciting is that social media enables learners to create, participate and share online, instead of just passively consuming educational content. We know that people learn something best when they’re actively exploring new ideas or solving problems together, rather than just being told about it or reading about it. And social media platforms facilitate this interactive learning via social networking tools, blogs, wikis, video and audio creating platforms, cloud storage and content curation, social bookmarking – all the tools, in fact, that you’re exploring in this programme! Build a Personal Learning Network: Use networking platforms such as Twitter, Facebook or LinkedIn to connect to people who are interested in the same things, and who will share resources which may be useful to you. If you manage your learning network well, your Twitter or Facebook feed can become a stream of interesting, relevant and useful resources which people have shared or sent your way. Curate and manage: Make sure you have a robust system for finding interesting content again when you’ve discovered it, using curation apps like Pocket, Mendeley, Evernote or Delicious (editor’s note to participants: most of these these aren’t an official ‘Thing’, but we’ll cover them a bit in Week 8). That way, you’ll be able to dig it out again for yourself or for others when you need to. Use tagging and metadata well, and you’ll not only be able to build up a personal library of resources, but you’ll be able to curate and share a collection which others will find useful too. Create and share: You can learn quite a lot by lurking online and consuming content, but you will learn even more by making things yourself. Blogging, tweeting, creating and sharing Slideshares, infographics or videos will help you to process and articulate what you’ve learned at a deeper level, and well as developing your digital skills. What’s more, by sharing these artefacts, you’ll be helping others to learn from you, getting feedback from them on your own learning, evidencing your development and promoting your expertise. Many of these tools make it easy to create and share materials, meaning that it’s not just teachers and publishers these days who get to make learning materials; learner-generated materials are just as valuable a part of the process. It’s certainly more creative than just writing essays! Interact and participate: Liking, sharing, retweeting and better still, responding, commenting and reblogging will help to build connections between you and others in your personal learning network. These social networks thrive on reciprocity, and your feedback, questions and encouragement will not only help others to learn, but will help you develop your own critical skills, start useful conversations and make new contacts to collaborate and share with. As well as making it more likely that others will do the same for you! The internet has vast potential as a learning resource, but that is greatly increased when it’s not just a ‘broadcast’ medium through which you can passively consume content, but a social space where you participate, interact and contribute to the learning resources available. The third in our series of guest post comes from Liz McCarthy, who runs 23 Things for Research and is the Communications and Social Media Officer for the Bodleian Libraries. When you’re just tweeting for yourself or using Facebook to post photos of friends and family, you don’t generally think about your goals or impact. But when you start to use social media and other digital tools professionally – particularly if you are using them on behalf of a project, a department or a university – a strategy becomes more and more important. Like marketing plans or business documents, social media strategies aren’t something we usually learn how to do in higher education. But they don’t have to be difficult; you just need to be able to sit down and think about your goals and how you will measure the impact of what you’re doing online. So. 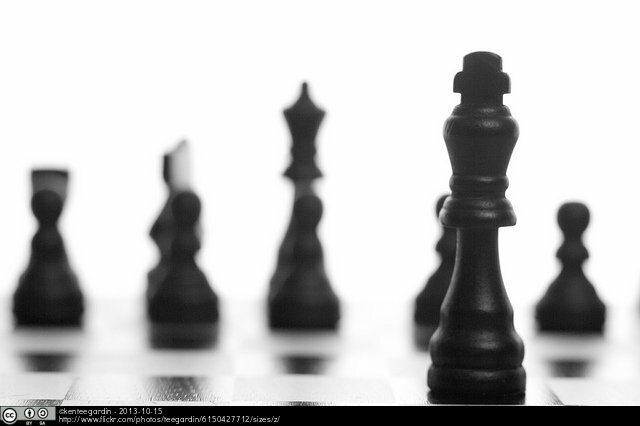 A social media strategy in five easy steps? Do your research. A bit of situational analysis can go a long way. Who is your audience? Students? Other researchers? The public? Media? What tools do they use? You’re probably trying to reach more than one type of group, but it helps to think about who you’re speaking to where and what kind of messages you want them to hear. Think about your objectives. Are you trying to get the word out about your research or a project? Get people to read a paper? Connect with your students or peers? Objectives need to be specific. Determine criteria for success. How will you know if you’re doing well? Can you measure how many people go to your article via social media? Maybe you can monitor how many times your students engage with blog posts? Is it important to reach as many people as possible, or to have them interact with you? Success means very different things to different people and different projects, and it’s not always about numbers. Choose your tools. Which tools and services can you use to accomplish your goals? We’re all busy, and it doesn’t make sense to use every social media tool on offer. Think about your situational analysis. Where are your audiences? If you’re trying to reach students, does it make sense to Tweet, or is a blog the best route? If you’re trying to generate article downloads, what works best? Ask around, do some reading, and experiment. Write it down. I’m pretty sure that many good social media users out there have thought about some of this already, even if they haven’t set it out on paper. That’s great. Now write it down, whether that means scrawling it on a piece of notepaper and taping it to your monitor or preparing a formal document. At the very least, a written plan will remind you of your goals and success measurement. Beyond that, however, it may be that you can use your strategy when talking to funders or thinking about REF. These steps and your final strategy should be empowering, not restrictive. Producing a strategy can mean producing something as specific as the BBC’s excellent strategy document (which combines what some see as an ‘appropriate use policy’ with a wider strategy), or something that simply outlines an audience and a mission in a few bullet points. There are lots of examples online, from the simple to the exhaustive, and lots of tools to help you measure how your objectives are doing (Culture 24’s excellent Let’s Get Real action research is a good place to start, and you can take a look at the Evaluating Social Media Impact presentation I gave earlier this year). The key is that you’re thinking about why you’re doing what you’re doing, and you’re adapting and changing as your needs develop. The second in our series of guest posts come from Jisc Wikimedian Ambassador Martin Poulter, who takes a look at why using Wikipedia in education is important. 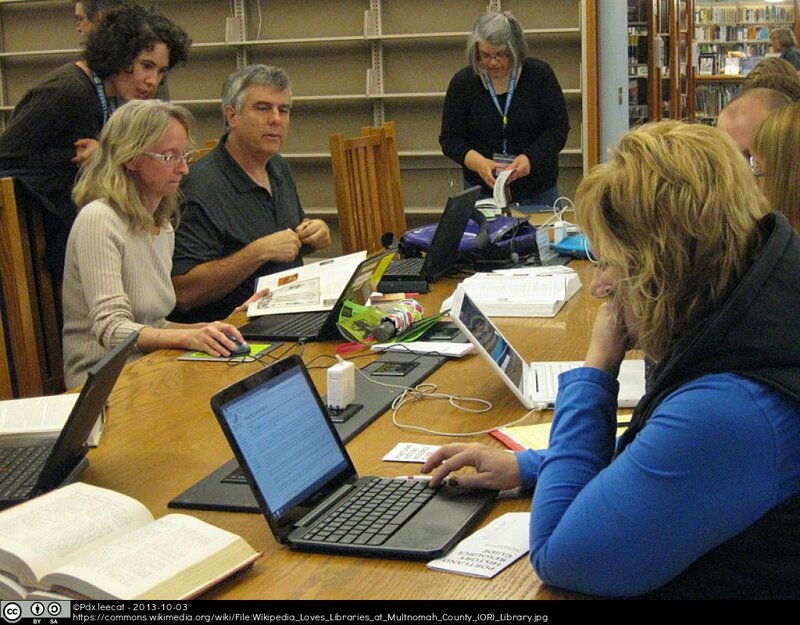 Librarians collaborated with Wikipedians old and new to improve articles related to Multnomah County, Oregon. Billions of people around the world crave education, but lack the resources we take for granted. Adequate libraries and current textbooks are out of their reach, but they are increasingly getting internet access. Meanwhile, every day in universities and schools, talented students are writing essays, then handing them in to be read by a tutor who already knows the topic, to be marked and eventually thrown away. If only that student work could be put into a free, multilingual, knowledge-sharing space. Wikipedia, the free encyclopedia, is part of a charitable project to give everyone on the planet free access to the sum of all human knowledge. This takes enormous effort from tens of thousands of volunteer editors, and after thirteen years it is still very much a work in progress. In many areas, Wikipedia has a real need for decent, well-written content. and to discuss and justify these choices with people who may have a different perspective. So there are research, textual, social and even legal skills involved in being a Wikipedian. Users do not need all these skills from the outset, but can start small and develop them by interacting with the community. These look very like the skills that we try to develop and sharpen in degree-level education. That is why, in education systems around the world, hundreds of academics have set their students to improve, critique, translate, or illustrate Wikipedia articles. Articles such as Dictator novel, Implicit self-esteem and Nuclear energy policy in the United States have become rich and informative through student involvement. Writing for the world, rather than just for one’s tutor, is potentially very motivating. It also risks ‘stage fright’. The course and assessment need to be structured to ensure learners are comfortable with Wikipedia’s norms and prepared to make the right sort of contributions. Many lecturers and teachers are still suspicious of Wikipedia and (in vain) tell students to avoid it altogether. They see it purely as a reference resource. Seeing it as an educational process or as a knowledge-sharing community gives a different perspective: A poor Wikipedia article offers an opportunity to create active – and in some cases extremely rewarding – experiences for learners, while improving the world’s access to free educational material. The US-based Wikimedia Foundation has some case studies from educators and here in the UK there is an index of education projects that may provide inspiration and guidance. Martin Poulter, based at the University of Bristol, is the Jisc Wikimedia Ambassador (funded by Jisc and Wikimedia UK) from July 2013 to March 2014. He edits on Wikipedia as User:MartinPoulter. 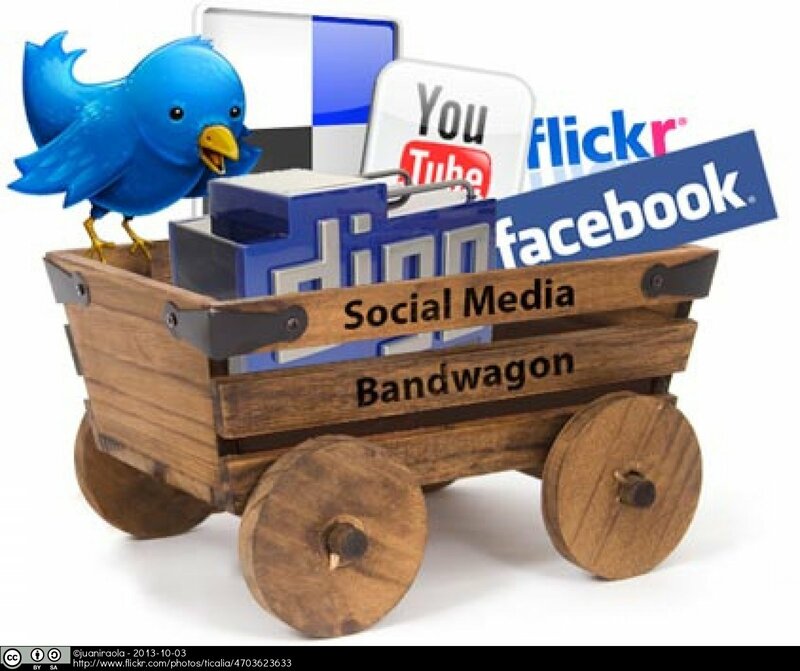 Although there are already a number of instructors across disciplines and institutions using social media in their classrooms, there are also a number who shy away from these technologies. Some instructors are hesitant because they do not have social media accounts and do not feel that they have the time to commit to it now. Others are wary of student interest and engagement and worry that if students are permitted to use social media accounts, they will lose focus on their coursework. Generally, the term social media is linked to individual use of certain websites such as Twitter, Facebook, LinkedIn or Pinterest. Social media actually refers to any type of writing that has large social engagement, and this includes blogs and wikis. Along with targeted use of Facebook etc., blogs and wikis afford the opportunity for many people to engage, interact and respond. Start by investigating the social tools that your LMS (learning management system) offers. In Oxford, that means WebLearn, but for other universities that could be Blackboard or a variety of other tools. Many of these tools have blog, forum and wiki capabilities. Investigate any WebLearn training (or training for your LMS if you’re outside Oxford) and ask for help (virtual or face-to-face). Begin with one blog assignment such as an introductory forum. Have students introduce themselves at the beginning of the semester and share some information about their lives or interest in the course. Require that the students respond to one another. Try to engage as well. Comment on a few students’ posts to see if they respond or how they react. Evaluate the workflow and outcomes of this small implementation. Did it go well? Did you feel unprepared? Did you (dis)like the concept of blogs or wikis, but (dis)like the setup of this particular one? Once you make a small step, you will feel more comfortable taking additional steps. If this initial blog is successful, then you could require blog posts as a weekly assignment. Or you could move outside WebLearn or your LMS to a blog website like Blogger or WordPress (see Thing 2: Setting up a blog, for help). Eventually, you could venture into more experimental social media websites such as Twitter. Always take time to familiarise yourself with a new technology before implementing it in the classroom. Allow yourself a time to learn the etiquette and capabilities of a social media website in case your students have questions. You will find a tool that works for you, the students, and your specific discipline. Before you know it, you’ll will be a social media expert! Dr Abigail G Scheg is an Assistant Professor of English at Elizabeth City State University in the department of Language, Literature, and Communication (LLC). She researches and publishes in the areas of online pedagogy, social media, first-year composition, and popular culture. On the off chance she is not working, Dr. Scheg can be found enjoying time with her husband, family, friends, or traveling.